The first, and oldest, type of wireless technology is known as Qi. 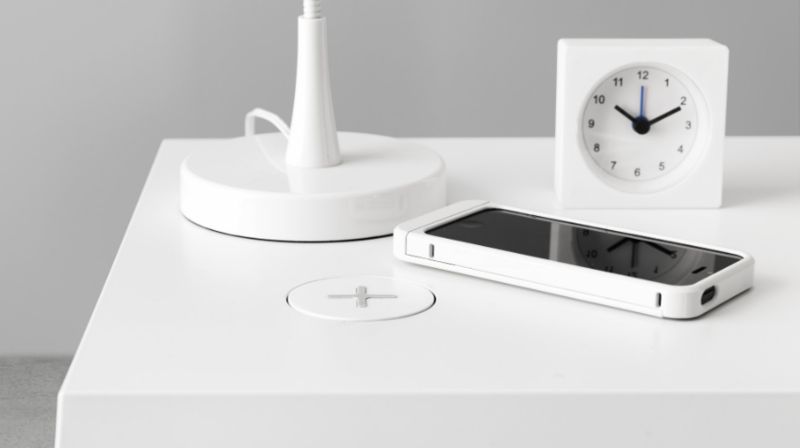 From phones and electric toothbrushes, to kitchen appliances and more, Qi lets you charge your compatible devices through what’s known as inductive charging. With inductive charging, you need a flat charging mat that your device will need to be in physical contact with in order to charge. You won’t need to plug your phone in, but you will need to plug the charging mat in. Qi also has devices that use resonant charging. Resonant charging allows users to charge their phone from a close distance while not requiring that they be in direct contact with a charging mat. Qi also offers cases that make your devices compatible with both types of technology. The second big name in wireless technology is the Airfuel Alliance. The Airfuel Alliance formed as a merger of the Alliance for Wireless Power and the Power Matters Alliance. Airfuel offers both resonant and inductive charging technology as well. Resonant technology is much more user-friendly as it allows users more flexibility and room to move. With resonance charging, you can also charge multiple devices at once. It doesn’t get much simpler than setting your phone on a charging mat. With wireless charging, you no longer have to worry about finding your phone charger or tangled up cords, you just set it down and leave it. Wireless charging batteries have a much longer shelf-life than disposable batteries. With more technology using rechargeable wireless batteries, there is less need for alkaline batteries, and therefore less of them to throw away each year. It’s available in public places. Lots of our favorite places are starting to offer wireless charging, from Starbucks to Ikea. If you have a smartphone or device that is compatible with wireless charging, you’ll be able to charge you phone in a variety of places without needing to bring your backup charger along with you. While you don’t have to worry about plugging your phone directly into a charger, the charging pads still need to be connected to electrical outlets at this time. If they could come up with a solar powered charging pad then this would be really cool because you would not need to plug it in anywhere. It’s still not as effective as traditional charging. Wireless charging is really still just in the early stages of development and it still has some work to do. Often, it can be slower to charge your devices wirelessly than with a traditional cable charger. Using your phone while you charge is more difficult. With traditional charging, you can still pick up your phone to send a text. While resonant charging does give users more flexibility, you still have to stay quite close to charge your phone. For those that use inductive charging, your mobile device will only charge when in direct contact with the charging pad which means using your phone is out of the question. Even though wireless cell phone charging stations are not yet perfect, as we see more and more devices accept the technology, the better we expect it to come.